Rev. John M. Shipman, CSV, a member of the faculty of the St. Ambrose College in Davenport, IA, died Nov. 16, 1969 at St. Mary’s Hospital in Kankakee, IL. He was 60. Fr. Shipman was born Feb. 5, 1909 in London, Ontario in Canada. He entered the Clerics of St. Viator in 1933, professing his first vows on Jan. 26, 1934 and his final vows on Jan. 26, 1937, before being ordained to the priesthood on March 9, 1940. He began his higher education at Case Western Reserve University in Cleveland and completed his Bachelor’s degree in 1936 at St. Viator College in Bourbonnais. In 1945, Fr. 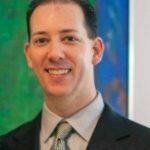 Shipman earned his Master’s degree in social welfare from Loyola University in Chicago, before continuing graduate studies at the University of Illinois in Champaign and at Fordham University in New York City. Fr. Shipman spent the early part of his ministry in education, teaching at St. Philip’s High School in Chicago; St. Joseph School for the Deaf in White Plains, NY; Fournier Institute of Technology in Lemont, IL, Gannon College in Erie, PA and at Marycrest College in Davenport, IA. He also served as superior of the Viatorian Scholasticate in Davenport and as principal at Spalding High School in Peoria. Fr. 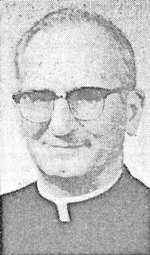 Shipman was incardinated “ad experimentum” for three years in 1965 as a priest for the Diocese of Davenport and again in 1968 for another three years – just one year before his death. However, he remains a Viatorian because he was never definitively incardinated. The funeral Mass took place Nov. 19 at St. Patrick Church in Kankakee. On the same day, a memorial Mass was offered by Bishop Gerald O’Keefe in Christ the King Chapel at St. Ambrose College. Fr. Shipman was buried in Mt. Calvary Cemetery in Kankakee.